When you first encounter the work of Adam Scott Miller, it immediately becomes clear that he is much more than just a painter. Though the term “visionary” is tossed around these days, in Adam’s case, visionary is the only word that seems to fit. He utilizes his skills and chosen mediums to further his own understanding of self, soul, and universe, and transport those who encounter his work into a realm found at the far reached of the imagination– one filled with visions, dreams, magic, and creativity. Adam was born in Marysville, Pennsylvania. When he was just ten years old, he was haunted by frequent night terrors. These horrific experiences always began as dreams and slowly entered into his perception of reality for half-hour periods. These disorienting experiences were among Adam’s first that challenged that young artist’s way of thinking of the “real” world. Presently he lives in Far Northeast Queensland, Australia amidst the most ancient rainforest on Earth with fiancee and fellow visionary artist Donna Raymond. 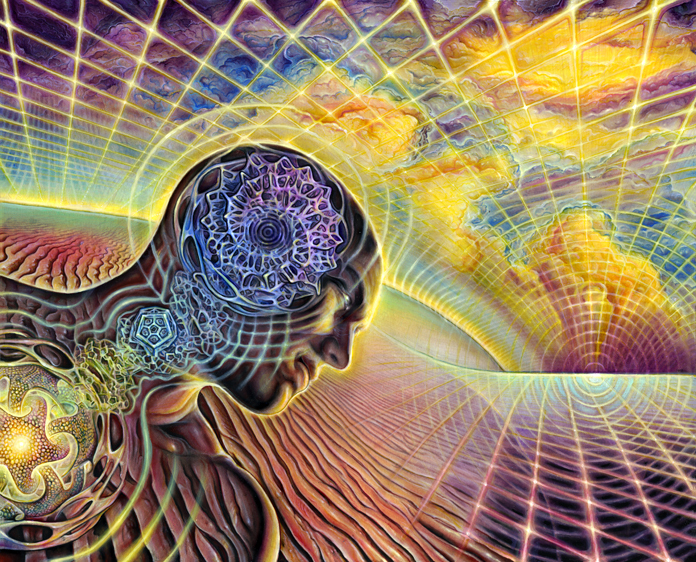 They will open Australia’s 1st visionary art gallery ‘Infinitus Art‘ during the Total Solar Eclipse of 2012, with which Infinitus Art will be in direct earth-to-sky alignment. Adam had found himself in Baltimore over the last several weeks, as he prepares and begins production on two new videos, set to the music of Telesma. 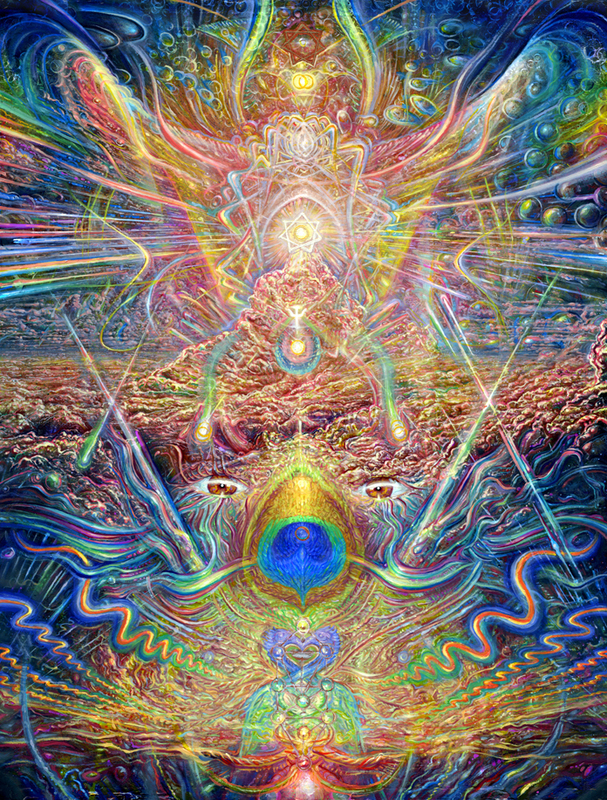 He completed another video several months back, also featuring Telesma, which he consider a Trailer to his work, “A Synesthetic audio-visual journey of Visionary Art and Music.” The new videos, currently in development, are set to Telesma’s Chain and White Lotus continue Adam’s exploration of sound and image, thriving off of his inspiration from the band. The video for Chain will be finished early 2013, with the video for White Lotus making ins debut in the middle of 2012. 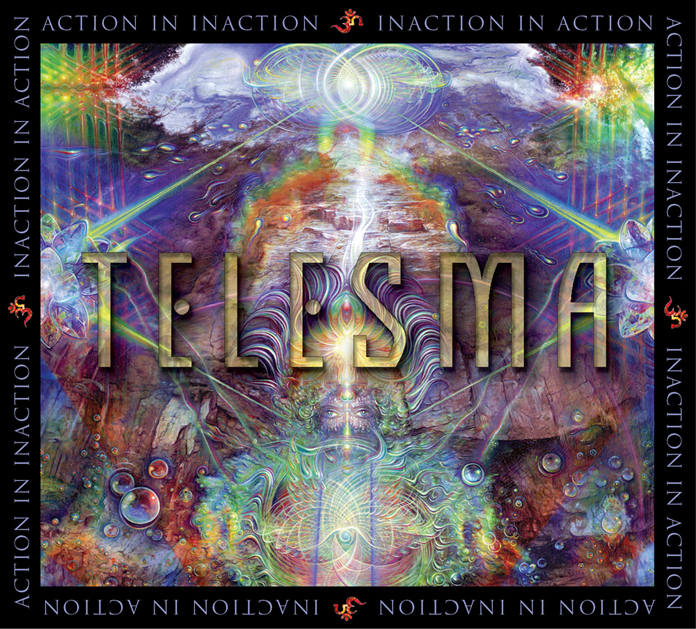 As part of this ongoing collaboration between he and the band, Adam also created the artwork for the cover of Telesma’s latest album, Action In Inaction. You have a chance to catch Adam this Friday at Telesma’s Resurrection show, where he will have his paintings on display, and will be making a live painting.